One of the most fascinating aspects of India is its unique combination of the traditional and the modern, offering “The Best of All Worlds’ to travellers of varies tastes, vicissitudes and of course budget. From cuisine, culture, costumes and festivities to language and living style, every State in this vast country offers a different and exciting experience to leisure travellers. It is little wonder that India is increasingly becoming a destination for tourists and documentary makers and commentators from all over the world. From its ancient temples, mosques, churches and other places of worship to the modern skyscrapers and property developers, India remains an enigma to most historians and writers. Businesspersons today vie for an increasing share of trade and commerce in the fastest growing economy in the world, while archaeologists, historians and lovers of wildlife continue to excavate and explore sites of significance and the alluring flora and fauna. From Kashmir in the Upper North to Kanyakumari (formerly Cape Comorin) in the South and from the bubbling commercial capital of Mumbai in the West to the culturally rich Kolkata in the East, India is a country of contrasts and personification of Unity in Diversity. While the Federal Government markets ‘Incredible India’ as a corporate entity, every State and Union Territory has constituted its own Tourism Directorate to attract visitors from various parts of the world. Among them Goa holds special interest for globetrotters, partly for its tropical climate and partly for its easy-going, and partly for its somewhat ‘westernised society’ (the State was under Portuguese rule until 1961). Swapnil Naik, Director of the Goa Department of Tourism was in Auckland last fortnight leading a delegation of tour operators from his State to tap into the potential of tourism in this country. 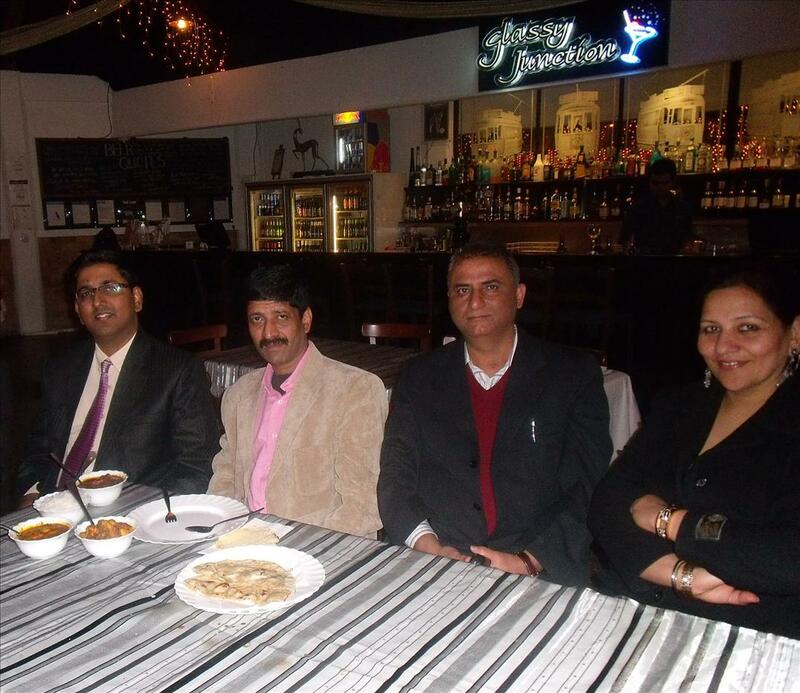 Their visit was made worthwhile by community leader and owners of India Gate Restaurant Kuldip and Shivani Arora, who quickly put together an event attended by travel agents and tour operators. “Goa is a tourist-friendly state offering exquisite resorts, places of interest and several other attractions to travellers. We are happy that India Gate had an opportunity to be of service to the visiting officials,” Ms Arora said. According to Mr Naik, tourists from either side of the Tasman have been discovering the beauty of Goa in recent times, although the total number of visitors is no more than 30,000 per year. “We have a huge potential in Australia and New Zealand and hope to attract more tourists from this part of the world. Like any other State in India, Goa offers something for every traveller, including cruises, tours and visits to places of interest at prices starting from about $400 per person,” he said. Subramaniam Raja, Chief Executive of the Delhi based ETC Tours Private Limited said Goa was much more than just beaches and sea. “It has a soul which goes deep into unique history, rich culture and some of the prettiest natural scenery that India has to offer. Goa was a meeting point of races, religions and cultures of East and West for many centuries and hence has a multi-hued and distinctive lifestyle, different from the rest of India,” he said. Goa reflects India’s secular outlook with people of different faiths living and working in harmony. The warm and tolerant nature of Goans allows them to celebrate and enjoy the festivals of various religions such as Ganesh Chaturthi, Diwali, Christmas, Easter and Eid Al Fitr with equal enthusiasm. Panaji (Panjim) is the state capital located on the banks of the Mandovi River and Vasco, Margao, Mapusa and Ponda are the other major towns. Goa is serviced by national and international airlines which operate their services to the airport located at Dabolim near Vasco. An intra-state and inter-state bus network also plays an important role in getting locals and visitors alike in and around Goa.